Hello Frndzzz.... www.dealsnloot.com Again Back With New Unlimited Loot. Its time to add one more Free recharge application in your app list named as Mango recharge.Just try free apps and earn unlimited money. You can also earn money by Referring to your Friends. Rs.40 for Each Friend. Recharge your mobile instantly. Mango Recharge supports All Operators through out India. 2. Once you download, verify your number. 3. Now install app and earn free recharge, you can also earn by inviting your friends. 4. 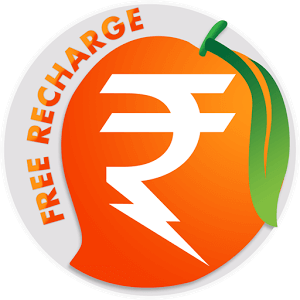 Invite your friends to install Mango Recharge &amp; earn Rs.20. 5. Earn Rs.30 when your friend earn from first 2 Apps via Mango Recharge. So start referring your friends and download various apps through mango Recharge app to grab more free recharges. 2. Register and click on invite tab to copy your referral link. 3. Backup the apk + data via titanium backup. ● THEY ARE DETECTING SMS AUTOMATICALLY SO FORWARD THE SMS FROM THE PHONE NUMBER THAT YOU USED TO SIGN UP SECOND TIME TO THE PHONE NUNBER YOU ARE USING CURRENTLY. 9. When your registration completes you will get 20 Rs. In your old account instantly and in new account you will get 5 Rs. Instantly or in 24 hours. 13. After enough looting uninstall the app change imei and install the app again from titanium backup.